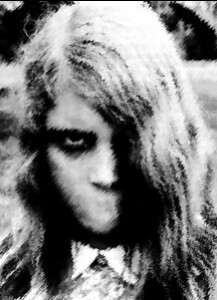 My short horror story, "By Her Hand, She Draws You Down," has been translated into Galician and published in the web zine, Nova Fantasia, accompanied by cool and creepy illos like the one to the right here. Twenty-four languages and counting. Back in February 2008, I'd blogged about an unpublished novel by the late great Roger Zelazny that had been discovered in Roger's papers by his son, Trent, and was to be published by Hard Case Crime in the US. I'd forgotten all about until today, so I did a search to see if it had ever come out. Major woo hoo's!! It was published back in February to very positive reviews, and is available here. 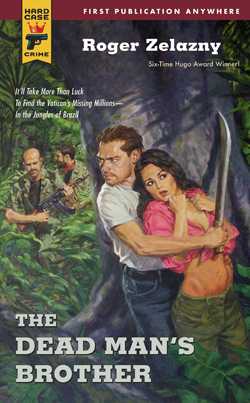 Try to ignore the trashy cover with the cute brunette, bare midriff, eyes locked on the hero's big blade (not too Freudian, eh? ), and instead check out an excerpt from the first chapter. 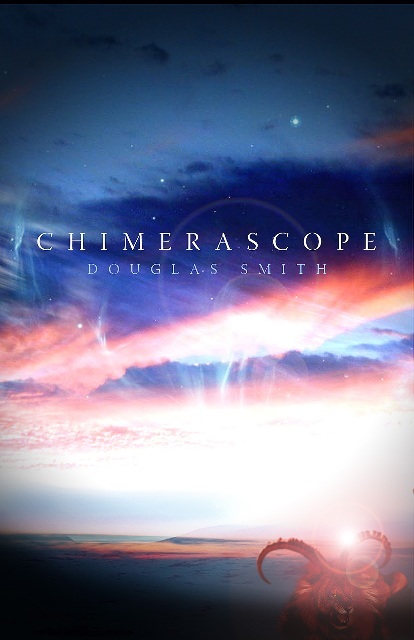 I've added a detailed page for my new collection, Chimerascope, listing the final table of contents, along with excerpts from all sixteen stories, links to past reviews of the stories, and their award history. A reminder that the signed, limited, numbered hardcover edition must be pre-ordered before October 31. Please see my store page for ordering information. I should point out that even though the ordering site is "The Horror Mall," my collection is not horror. It's my typical eclectic mix of fantasy (high, urban, dark, etc. ), SF, and okay, one supernatural horror story. A trade paperback edition will be available later in 2010, and will be available in Chapters/Indigo stores and on Amazon. Check out my Chimerascope page for all the information on the collection. I've just posted ever so many updates to the FML, my Foreign Market List, where "foreign" means non-English. Thanks to everyone who assisted with tips and information, but especially to fellow writer, Gareth Jones, in the UK. This seemed like a good time to check on the number of languages that I've had my stories translated into. Twenty-two, listed below in decreasing order of appearances. Nothing compared to Frank Roger, the Belgian multi-lingual writer, who I had the pleasure of meeting in August at Anticipation in Montreal. Frank (I believe) is over thirty languages and counting. I've also included some of my favourite covers and illos from my translated works below. On the collection as a whole: "[The] three letter perfect stories behind the expressionist cover art admirably display Mr. Smith’s considerable creativity." On "Bouquet of Flowers in a Vase, by Van Gogh": "…a beautiful and haunting tale of love, loss and remote viewing. " On "Spirit Dance": "...an [example of] the author’s ability to place the possible and impossible side by side to excellent effect in an action packed story." On "Going Down to Lucky Town": "…[an] enjoyable tale filled with broken and repaired familial ties bound together by a father’s love for his daughter." 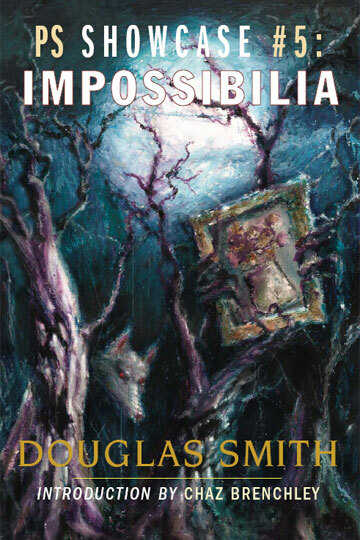 Impossibilia was a finalist for the 2009 Aurora Award and can still be ordered in limited numbered signed editions from the publishers, PS Publishing, via my store. Coolness! Here's the final cover (cover artist: Erik Mohr) for my upcoming "full" collection, Chimerascope, which I wrote about here. "Full" with quotation marks, since, much to my surprise, I have more published stories than I could fit into this second collection. The limited edition hardcover is available for pre-order now. The hardcover print run will be based solely on the pre-orders. A trade paperback edition will be available later. I'm very excited to announce that my new collection of short fiction, Chimerascope, from ChiZine Publications, is now available for pre-order for the limited edition hardcover. This is my first full collection with sixteen of my favourite stories, covering a range of genres--fantasy, SF, horror, and stories that mix them all. The collection includes an Aurora Award winner, a Best New Horror selection, and nine Aurora finalists. It will also be available in trade paperback later but the limited edition hardcover will only be available to those who pre-order it, as the print run will be based on those orders. ChiZine Publications has also signed a distribution deal with The Literary Press Group of Canada (LPG), which will see ChiZine's books including Chimerascope available through Amazon and in Chapters/Indigo. I'll post the final cover as soon as I have it. Here's my schedule of panels and readings for this year's WorldCon (World Science Fiction convention), Anticipation 2009, in Montreal, Aug 6-10. I've added the times when I'll be signing at the SF Canada table. Hope to see you there! Still more praise for IMPOSSIBILIA and "Bouquet of Flowers..."
Read more about Still more praise for IMPOSSIBILIA and "Bouquet of Flowers..."